This men’s club was formed in 1989. 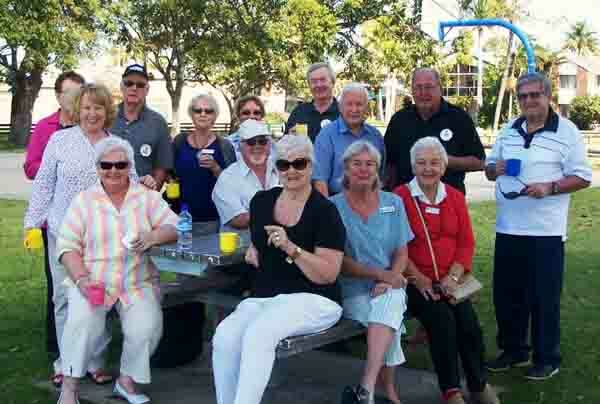 Membership maximum is 60 but from inception the wives and partners have been invited to all meetings, activities and functions—and that’s the way they like it– the men organise and the ladies socialise– and they love it! Our members are retired or semi-retired men who enjoy the friendship and social life of our “tourist relaxed” club. We meet at the Burleigh Waters Community Centre at 131 Christine Avenue, Burleigh Waters at 10:00 A.M. ON THE THIRD MONDAY OF EACH MONTH. Visitors and interested men (and wives or partners) are always welcome.